Trust Tibard, the uniform experts, to keep your staff professionally dressed for a reasonable price with fast and reliable service every time. Tibard is a nationally recognised manufacturer and supplier of exceptional uniforms, from hospitality to health industry. Whether that’s the established chain restaurants to independent coffee shops, Tibard provides premium uniform elements for a variety of Norwich businesses and those throughout East Anglia. We also look after all the details including embroidery for personalisation, logos and company names along with commercial laundry, so you have one less thing to worry about leaving you time to do your business. With thousands of products to choose from and some of the very lowest workwear prices online, any businesses interested in uniforms or workwear in Norwich, Great Yarmouth, Lowestoft and East Anglia are likely to find exactly what they need. Tibard works with some the UK's largest businesses, providing workwear and uniforms to over 35,000 people each day and we know exactly how to get the job done and provide cost-effective quality. Companies of any size can buy from us online because we don’t have any minimum order values so that we can offer the same great importance to every single customer who needs workwear. If you are interested in workwear personalisation in East Anglia and Norwich, then this is a service that you can take advantage of on our website. By adding the logo of your business to your workwear items, you create a unique and distinctive look that allows customers to identify you and your staff easily. This can also help you create a very professional and stylish look which can help establish your business and also promote your services or products. Tibard as a company has been producing quality uniforms for restaurants, cafes and hotels in Norwich. We’re passionate about the uniform business, and for over three decades we’ve been working throughout the nation with top quality customer service. It can be especially difficult in the hospitality industry to find well-designed items to suit the diverse range of people working for you. So whether you require a high-quality chef jacket or a casual waitress apron, you’re sure to find it on our website. Furthermore, if you’re unable to find the right option for your industry then give us a call, and we’ll be glad to help you out. Here at Tibard, we’re committed to premium customer service offering our customers the sort of uniform they’ll feel proud to wear every day. We work with some of the most prominent hospitality brands in East Anglia and we’re always happy to welcome new customers into our family. Tibard has over thirty years’ experience as the UK’s top uniform provider, let us help you today. Many large businesses seeking workwear in Norwich, Thetford, Cromer or Diss will benefit the most from choosing to get in touch about the many specialist uniform services that we can provide. If you have many staff spread over multiple locations, then our managed uniform account is the ideal solution which will save your business time and money as we take care of all the logistics and make purchasing as comfortable as possible. 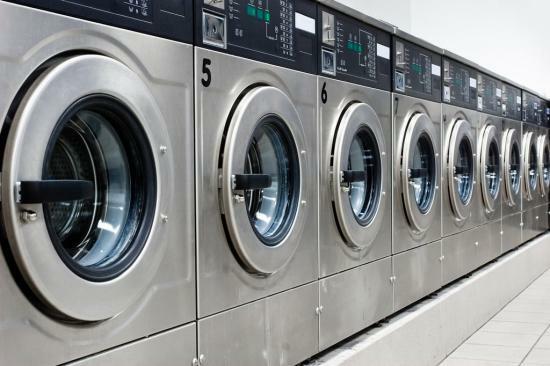 We also provide a vital service to catering and hospitality businesses in the shape of our uniform laundry and rental service which can help you save on the expensive costs of supplying and cleaning uniforms for large staff number. One of our unique services is the ability to design and manufacture bespoke suits for businesses who do not want an off the shelf option for their uniforms and instead want something that is to their requirements.